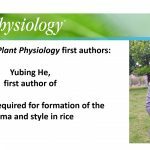 Brief bio: After finishing my undergraduate education in 2015, I was recommended to further my study in the Shanghai Institute of Plant Physiology & Ecology, Chinese Academy of Sciences. 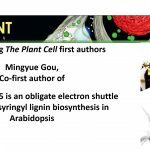 I was fortunate to join the research team of Prof. Yongrui Wu, where I went through systematic training in research and enjoyed the research process of maize biology, and also collaborated with other group members to publish papers on Plant Biotechnology Journal (Li et al., 2018) and The Plant Cell (Yang et al., 2018). Since I entered this research laboratory, I have started the research project on vks1 from scratch. With the joint efforts of the team, and through numerous attempts, we succeed in using immunofluorescence to study early endosperm development of maize in vivo for the first time. We performed cytological observations on the whole kernel development process and found that the main reason for the smaller size of the mutant kernel was the decrease in cell number during early endosperm development. Further genetic and molecular cytological studies have shown that due to the loss of function of a kinesin protein (ZmKIN11), during the rapid cell division of early endosperm, the nuclear-cytoplasmic domains formation and migration of free nuclei were affected, as well as the spindle assembly, sister chromatid separation and phragmoplast formation in early endosperm development, thereby resulting in reduced cell proliferation. Severity of aberrant mitosis and cytokinesis within individual vks1 endosperms differ, thereby resulting in varied kernel sizes. In this study we cloned and performed functional analysis of the key role of kinesin in the early endosperm development of maize for the first time, and revealed an important molecular mechanism for the determination of cell number in early endosperm that determines the final kernel size. 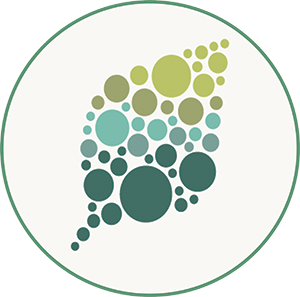 This is a landmark for maize endosperm development research that combines one specific gene, forward genetics, cytogenetics, development mechanism and yield trait together. This study will be a good first step in this area.